After 17 years of walking through the Wonders of the Peak gallery, it has now almost gone. The objects have been carefully removed. Soon the structure will go too, and we will be able the full size of the space at our disposal. Yes, it is sad, but the opportunities this is giving us are amazing! So often we say: ‘Oh! I’ve been there, I’ve seen it. I don’t need to go again.’ And yet as items which I should know well (I’ve walked past them daily for years) have been removed from exhibition, they reveal amazing detail which the previous display concealed. This little brooch from the Salt collection is a case in point. It was made 2,000 or more years ago, but just look at the terminals on it. The finely drawn and wrapped wire is almost invisible to our weary 21st century eyes! 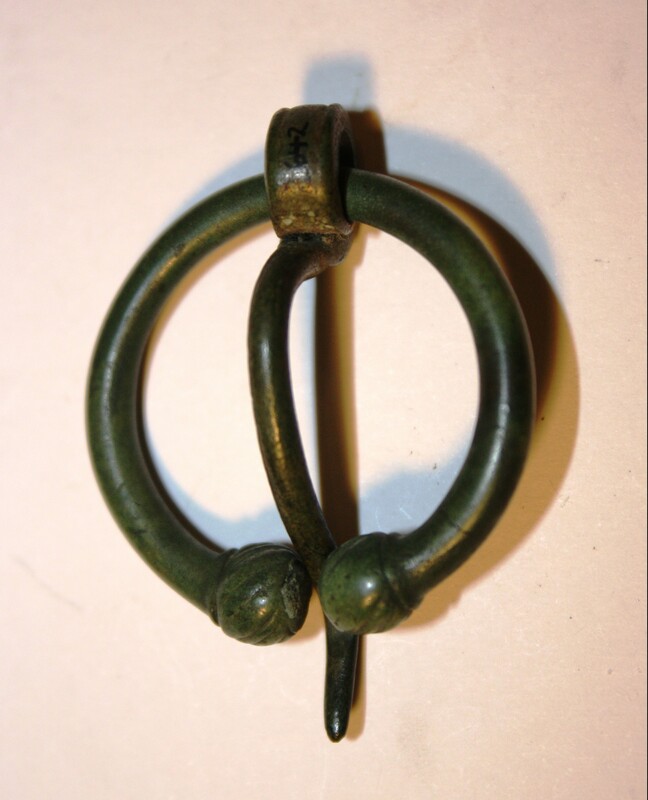 Penannular brooch, Thirst House Cave. Let’s start with plate tectonics. This was very new science when I was at school, and I remain really excited by it. 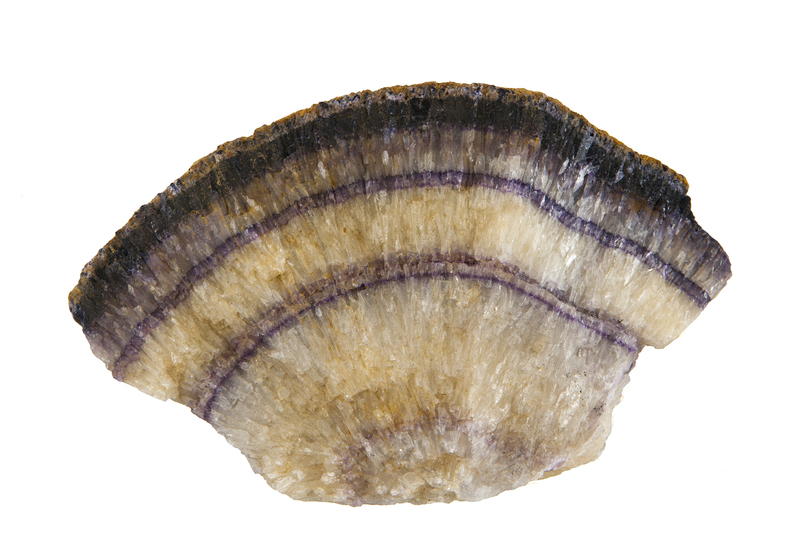 But I was interested to learn that as the European plate drifted northward (rather like the Indian plate does today, very slowly by perceptively), there was a period of massive collision and folding of the earth which resulted in the creation of the mineral beds in Derbyshire. Blue John, Treak Cliff Cavern, Castleton. Only afterwards, and so more recently, when the Siberian plate shifted westwards did the coal measures result from another period of land turbulence. Curious to imagine Derbyshire under a desert plateau akin to Tibet which over years and years and years has been eroded and lifted to create the Derbyshire dome of limestone, almost the lowest level of rocks that cover the earth, and yet now above the sea. How about land ownership? In the Mesolithic period, people were still following herds across the landscape. The scatter of tiny lithic flakes, in the Waterhouse collection, shows that the slopes of Kinder Scout were not an abandoned wilderness. People did come down from the hills and gather together, as the large structures at Lismore Fields in Buxton suggest, but not necessarily for long periods of time. 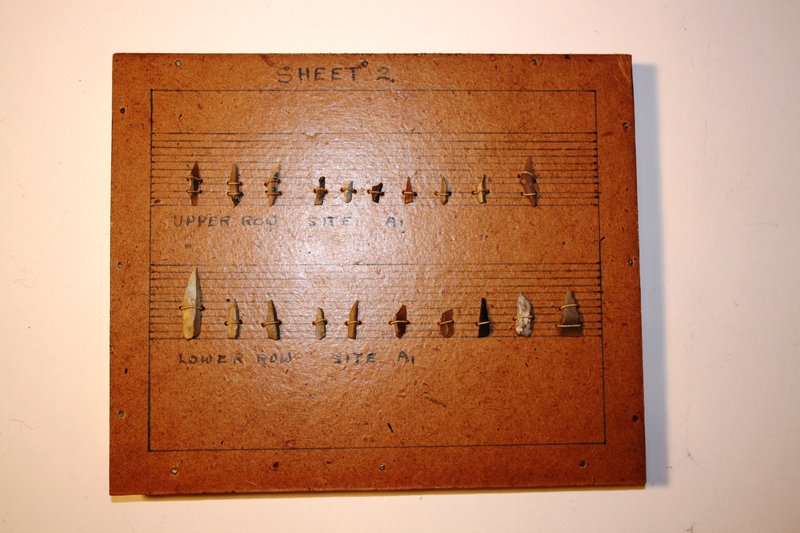 Sheet of flints collected by John Leonard Waterhouse 1920-1940. But over time people felt a need to settle with domesticated animals and to develop smallholdings to grow the vegetables and grains. They spun wool from their sheep and goats, and knew how to set up a loom and weave. So they wore woven cloth garments made from wool and linen, surely dyed with fruit and vegetable colours. They made pots, decorated with patterns. For these people, this was a great time to live! And when they died, their corpses were laid to rest in barrows. This provides a whole new meaning on their relationship with place. They were no longer wandering people. They wanted to root themselves and their families in the place they were bound to, and to watch over it for generations – until a curious antiquary or archaeologist should disinter them. But even then, their place is marked, in Derbyshire by the many places called ‘Low’. It is as if the man whose skeleton is from Liffs Low comes alive from the display here. 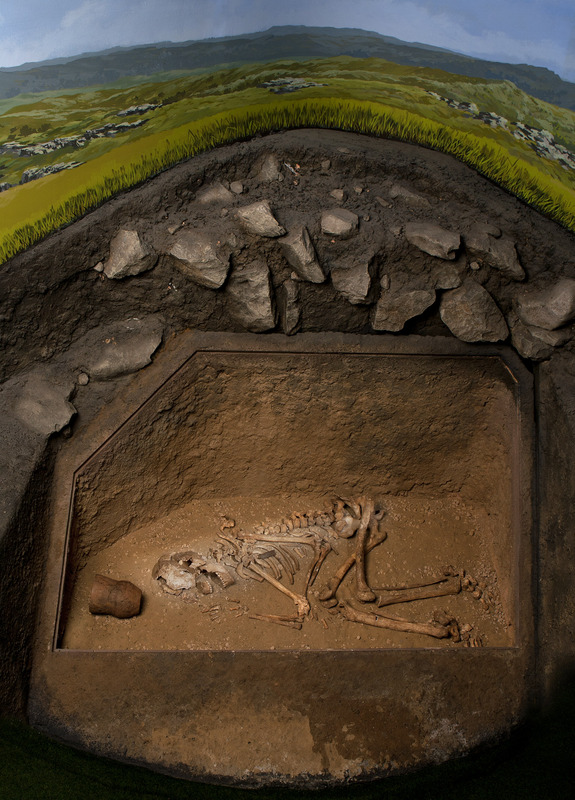 I can imagine him sitting in on that hilltop near Biggin and thinking about his and his family’s relationship with this special place – not a skeleton, but a fit man, with a slightly dodgy elbow caused by an old injury. I’ve certainly not asked all the questions. In July we will host a series of public events throughout the Buxton Festival for you to do so too. ‘Meet the Experts’ will bring our colleagues from museums across the UK to share their knowledge with you and us. We will publish the programme shortly, but make a note in your diary for our series of lunch time lectures from 8 July to 24 July. This entry was posted in CITL News. Bookmark the permalink.